This pump is used to provide vacuum to the power brake booster that is lost when the engine was removed. 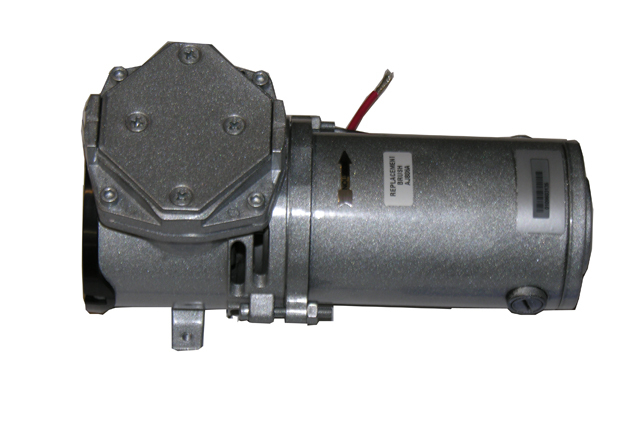 In our experience, we believe this is the best combination of a pump and switch to use because of quiet operation, reliability, and ample vacuum of 23" Hg for safe braking. The switch is small and adjustable from 3"- 22" Hg and activates when vacuum falls below ~15" Hg. The pump is 12v DC and draws about 8 amps.